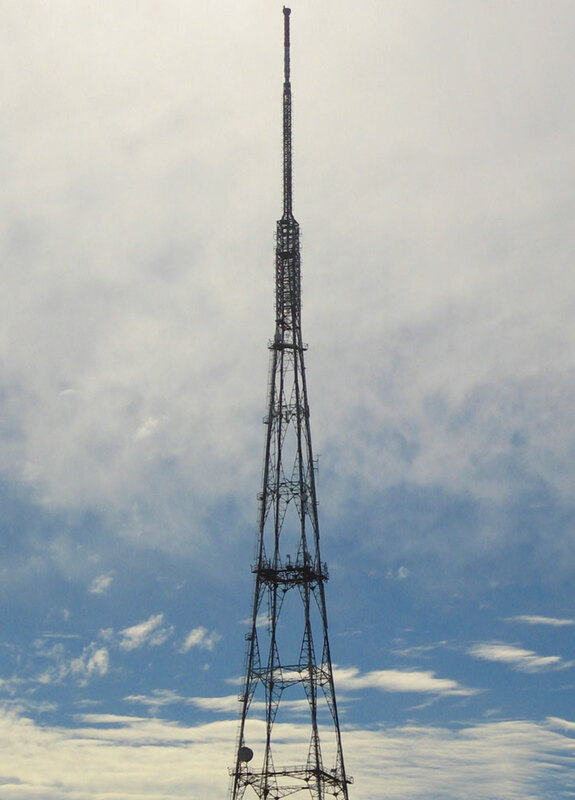 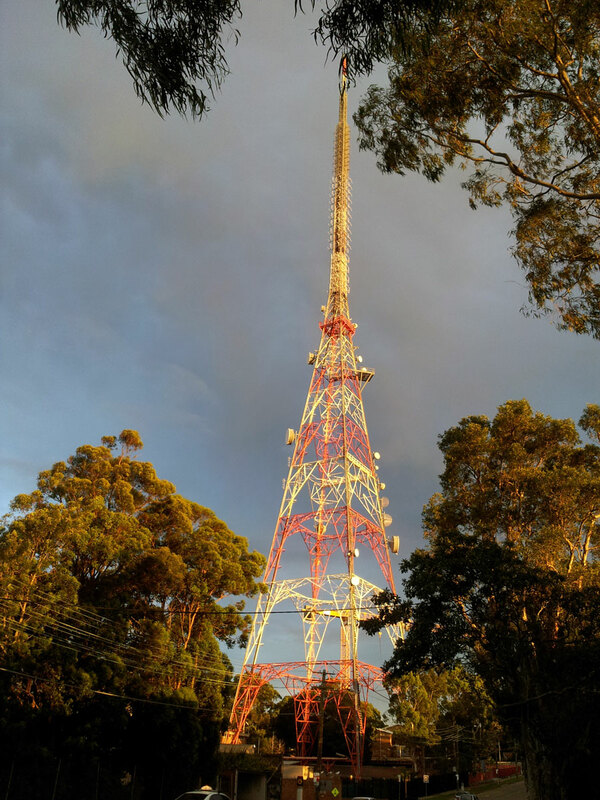 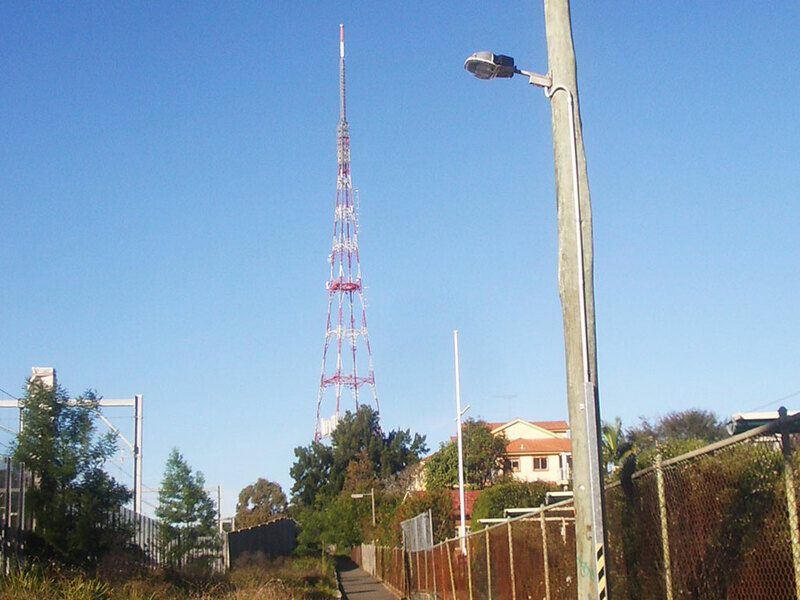 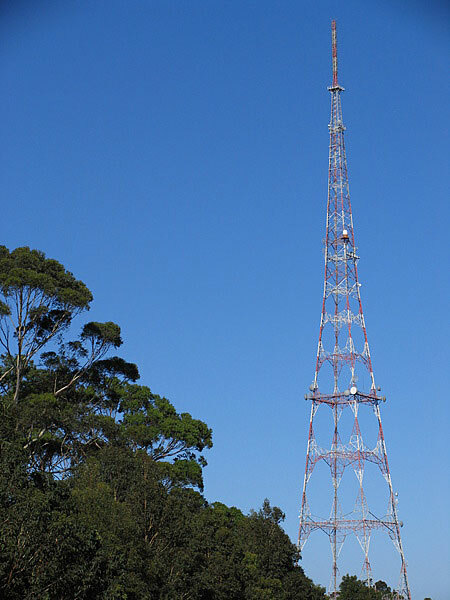 TX Australia (Channel Seven/Channel Ten) 216 m high tower at 192-196 Hampden Road in Artarmon, located 9 kilometres north-west of the Sydney's central business district. 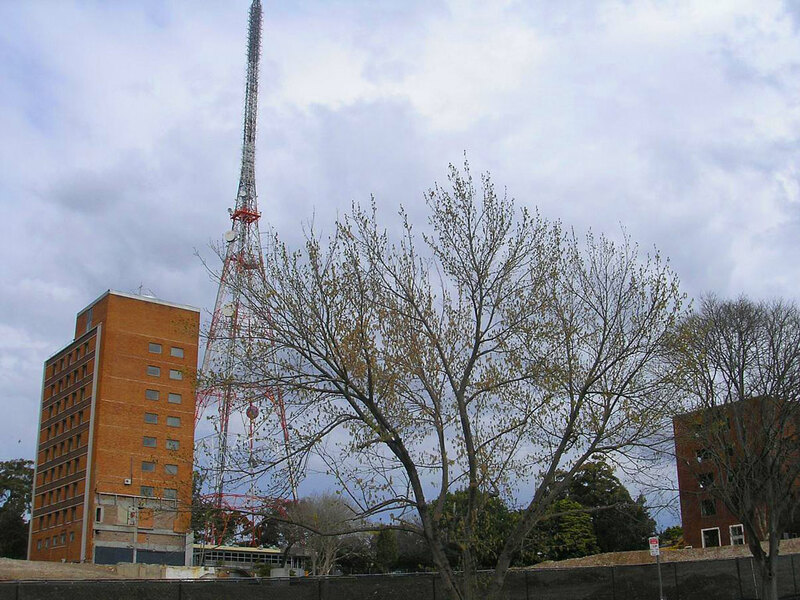 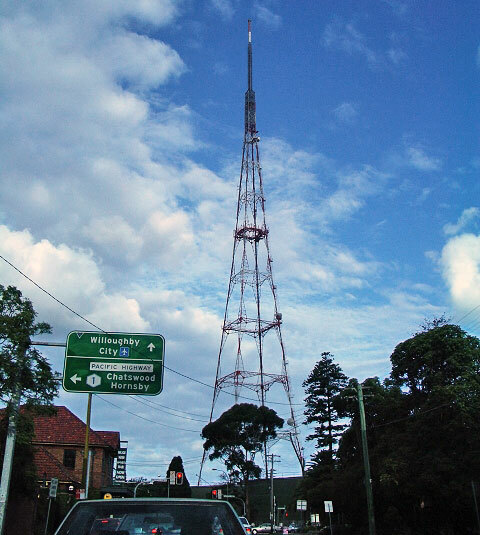 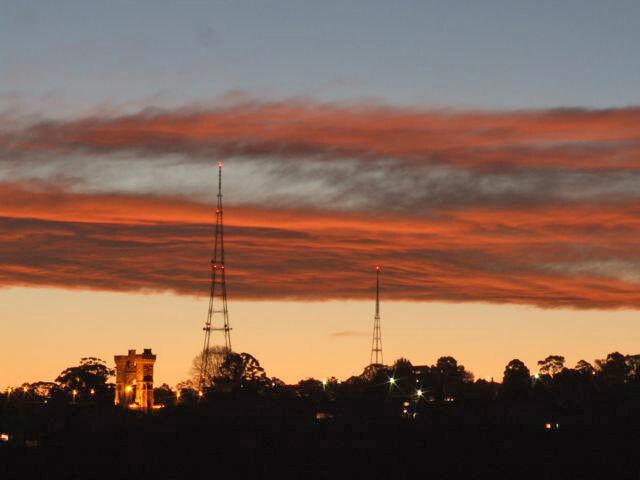 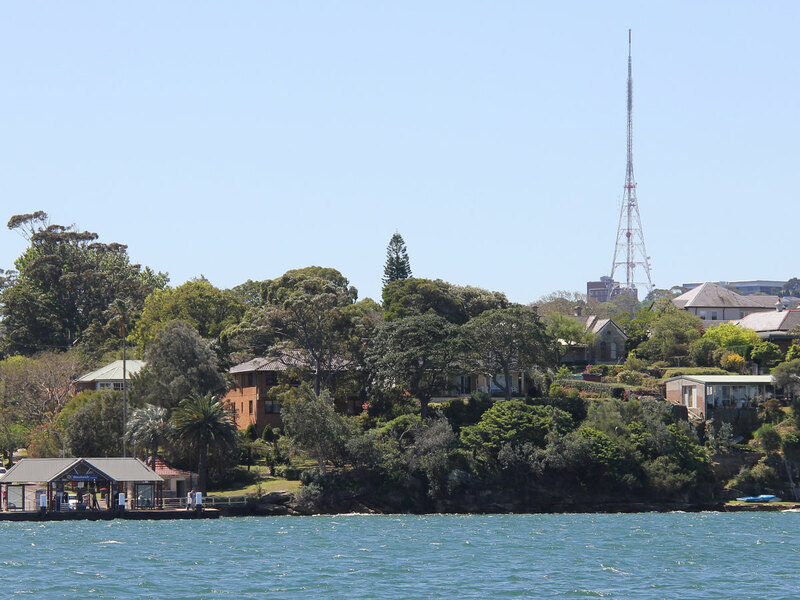 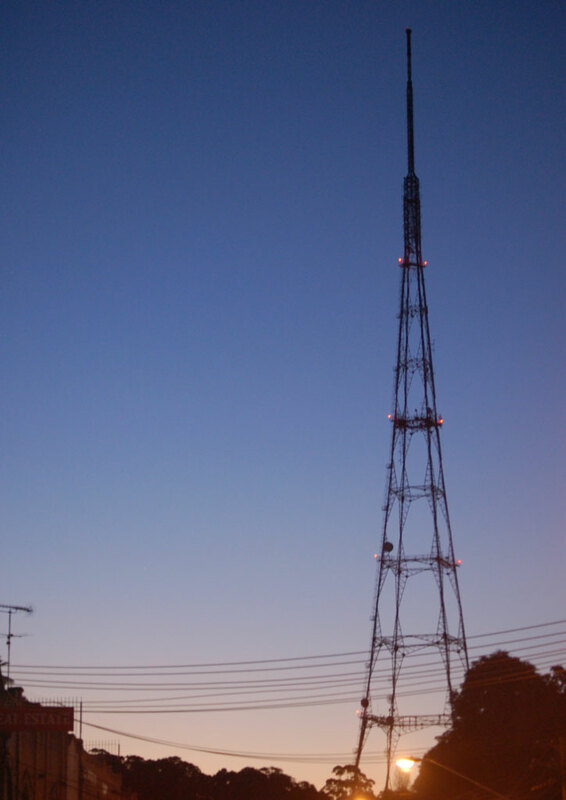 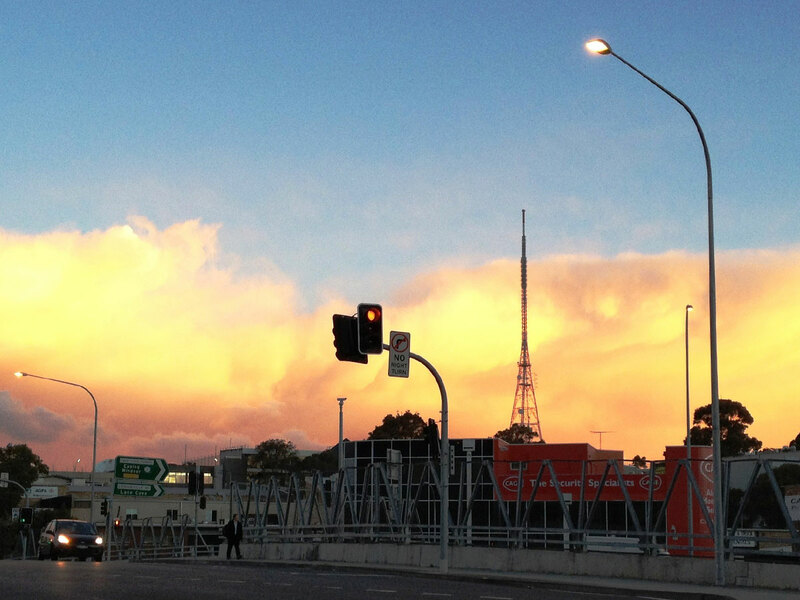 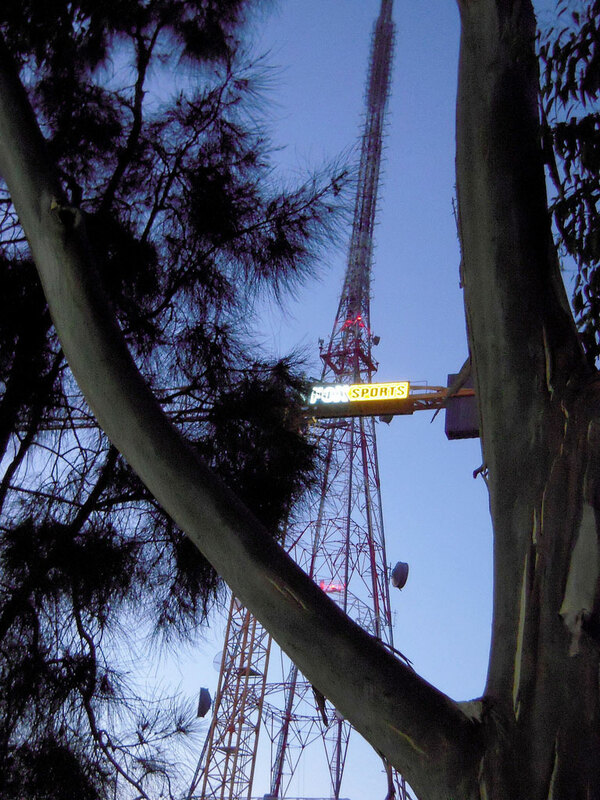 The Australian Broadcasting Corporation's 170 metres high transmission tower is located in Gore Hill-Artarmon area. 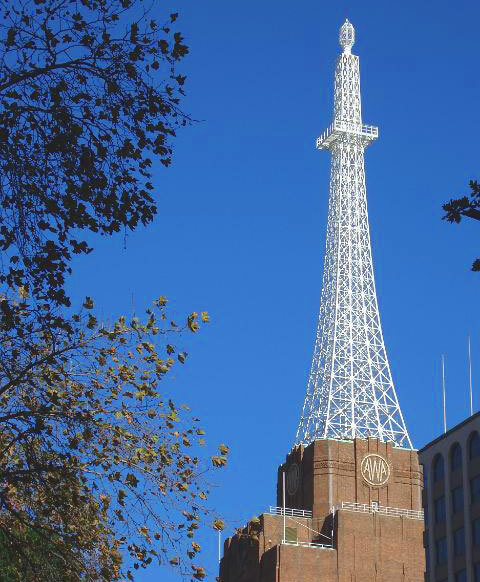 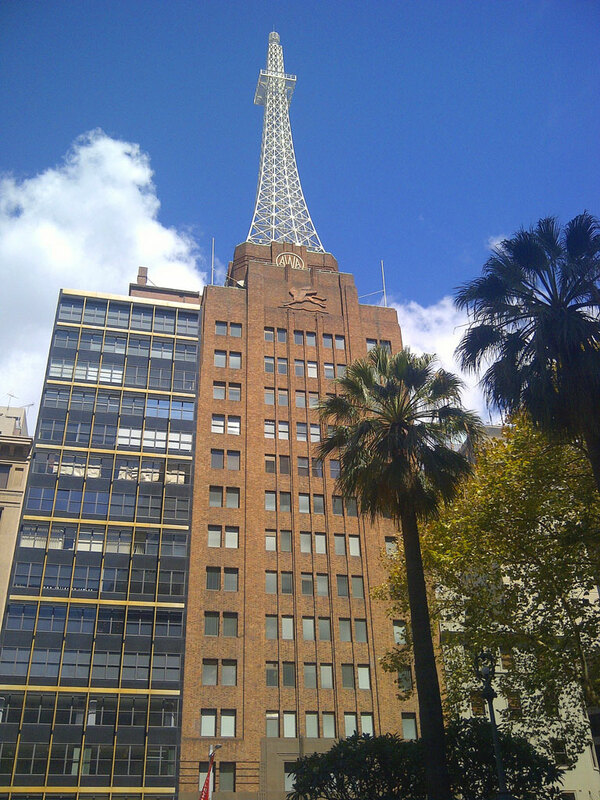 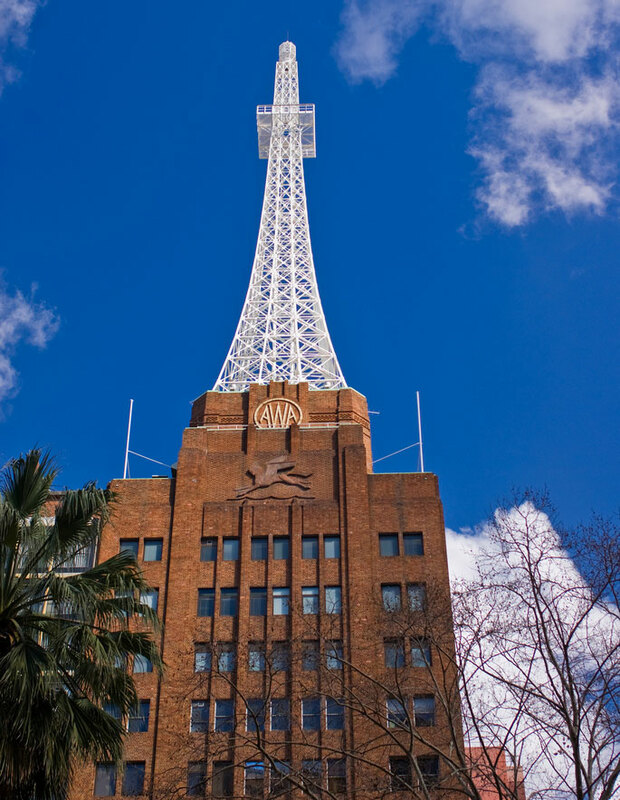 The AWA Tower is an office and communications complex in Sydney, Australia built in 1939 for Amalgamated Wireless Australasia Limited. 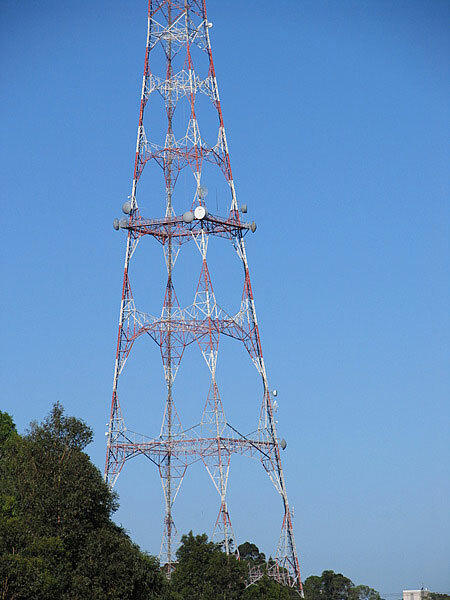 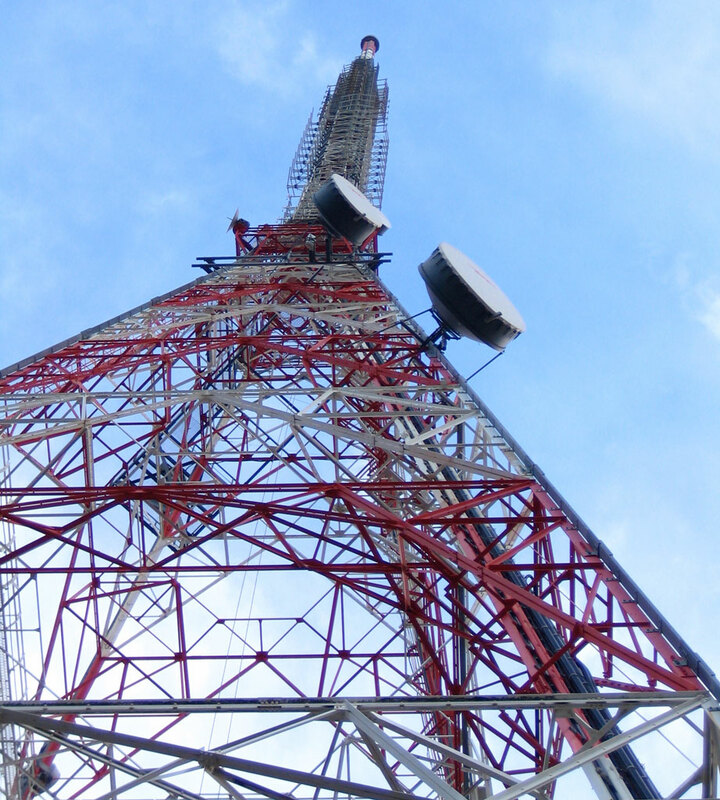 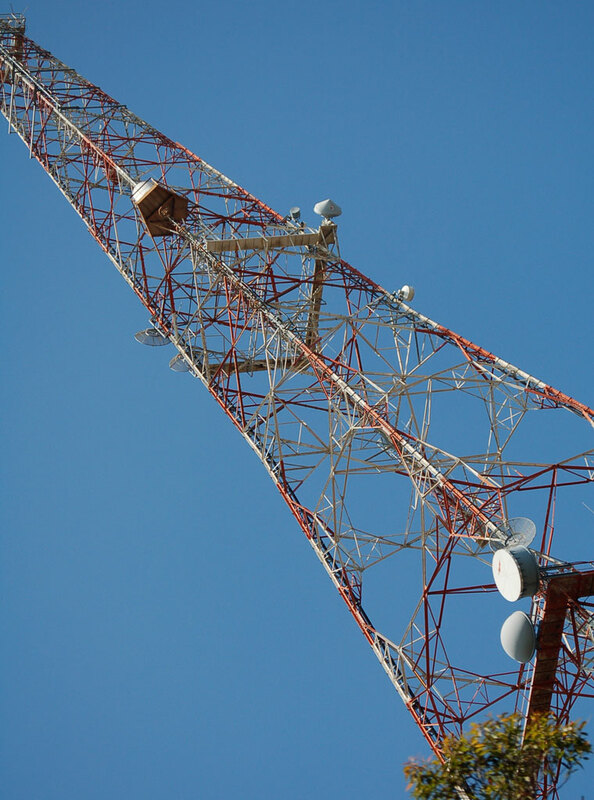 The AWA Tower consists of a 46 metres (151 ft) high radio transmission tower atop a 15-story, 55-metre (180 ft) high building. 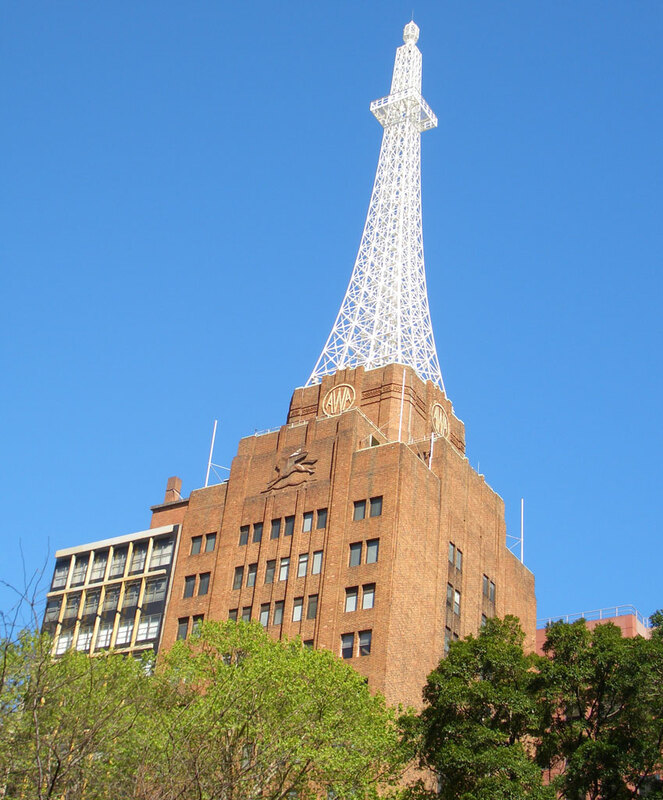 It is located in the Sydney central business district at 45-47 York Street. 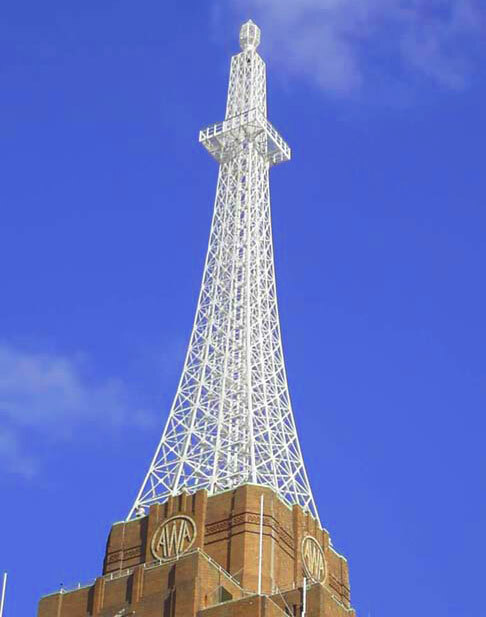 The white tower on the roof was intended as a replica of the Eiffel Tower. 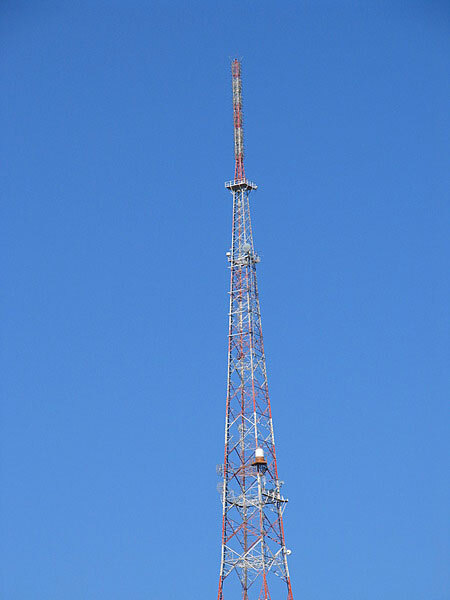 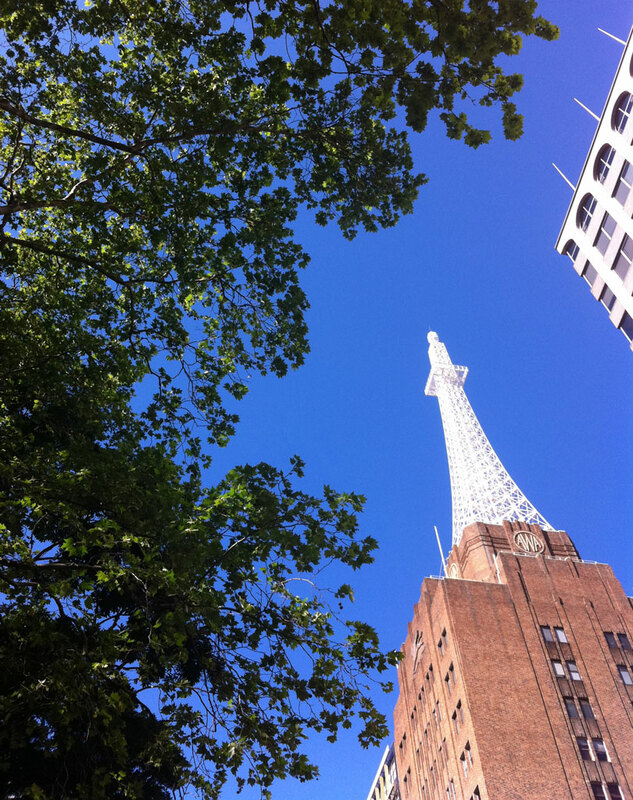 The AWA Tower was Australia's tallest building until 1958.